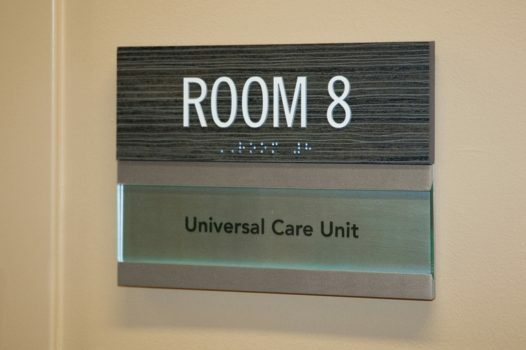 Information displayed through signage must be easily understood, legible and accessible to all. Which way to the restrooms? Where are the elevators? How do I find a certain department or office? The Federal “Standards for Accessible Design” were developed to ensure that answers to these questions would be readily accessible to all visitors. Our ADA-Ready™ solutions are designed to be clearly interpreted and understood by diverse visitor groups, regardless of physical ability or cultural background. Our ADA Accessible Signage Summary provides a concise description of the most critical signage considerations from the 2010 Standards for Accessible Design. 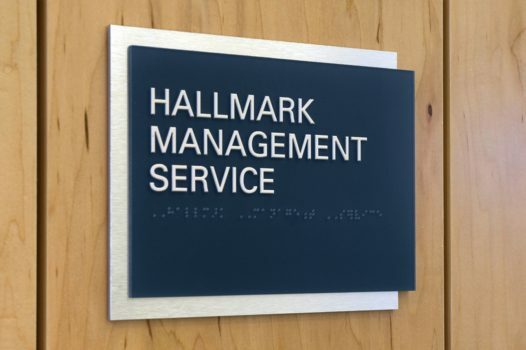 All Braille produced by ASI meets current federal, state and local regulations, no matter the method of manufacture chosen as best for your signage project. A thermoformed substrate process which provides for crisp, clean edges and fingerprint-resistant surface texturing for ADA-Ready signage. Rated for interior use. A photopolymer process ideal for signage requiring a substrate with a wide range of colors, profiles, and raised details. Rated for interior and exterior use. 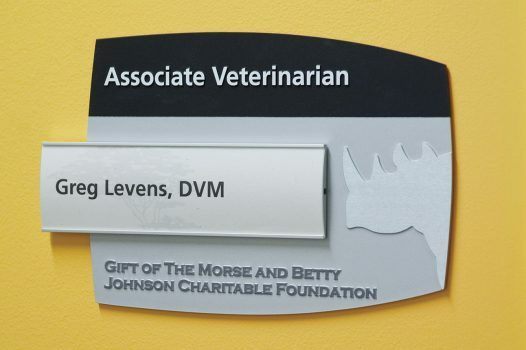 Computer cut, surface applied tactile lettering and machined braille which can be utilized with any substrate for ADA-Ready signage. Rated for interior use. 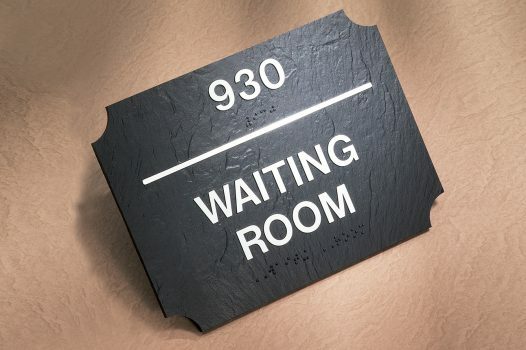 Etched metal substrate that combines intricate graphic detail and durability to create ADA-Ready signage. Resistant to cleaning chemicals and vandalism. Rated for interior and exterior use. The addition of multi-lingual messages and pictograms incorporated into signage can aid in reaching more diverse audiences. Learn where and how to effectively communicate information to both visitors and staff. Using high-contrast colors and appropriate font options will maximize the visibility and legibility of a sign’s message. ASI’s online LRV Calculator allows clients to test color combinations of our standard colors to determine the highest contrast for your signs. The Americans with Disabilities Act (ADA) was signed into law in July 1990, with enforcement of the law beginning in July 1991. The intent of the law is to broadly protect the civil rights of the disabled, prohibiting discrimination in employment and access to goods and services – part of this law extends to ADA signs. The Department of Justice published revised final regulations implementing the Americans with Disabilities Act (ADA) for title II and title III on September 15, 2010, in the Federal Register. These requirements, or rules, clarify and refine issues that have arisen over the past 20 years and contain new and updated requirements, including the 2010 Standards for Accessible Design, “2010 Standards”). March 15, 2012, was the compliance date for using the 2010 Standards for new construction, alterations, program accessibility, and barrier removal. Please note that some states and municipalities are permitted to adopt accessibility codes that are even more stringent than the 2010 Standards, as long as they minimally meet the 2010 Standards and obtain approval from the U.S. Department of Justice. This comprehensive whitepaper provides a complete, in-depth and visual reference, explaining how the latest standards impact all applicable types of interior and exterior signage. This Department of Justice reference explains the transition from the 1991 ADA Standards to the 2010 Standards, including clarification on facilities that have been in compliance with the 1991 Standards.